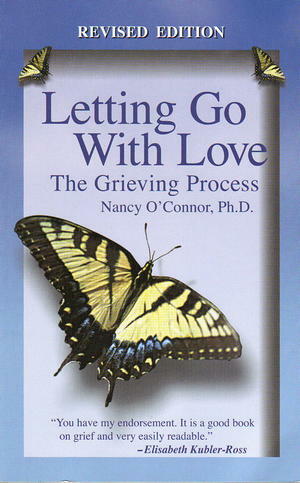 A positive compassionate self-help guidebook book that explains the grieving process in easy to read everyday terms. Written by a psychologist and based on the author's professional and personal experiences. This book to looks at the unique challenges recovering for every type of loss through death including; death of a partner or spouse, death of a child, death of parents, death of siblings, friends, by AIDS, SIDS, suicide and death of self and more. This Revised Edition of Letting Go With Love has two completely new Chapters, one on Catastrophic Deaths including murder, drunken drivers, other vehicle accidents, abductions and kidnapping, gang killings, drug overdoses, terrorist attacks, war, mother nature and more. The second new chapter explores care giving focusing on parents caring for children and children caring for parents.